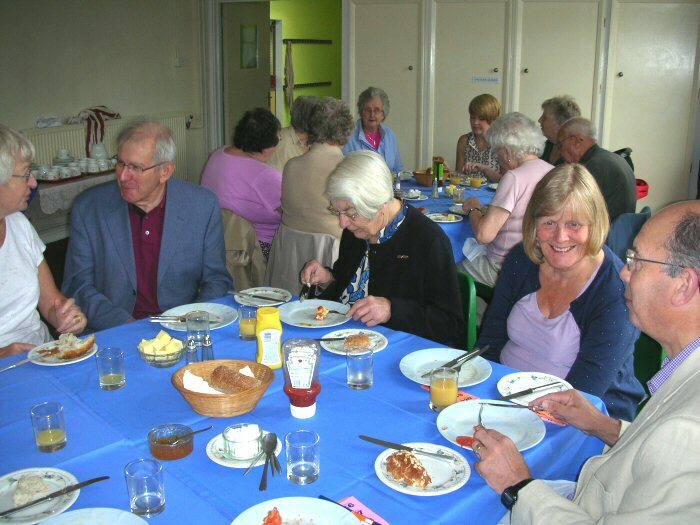 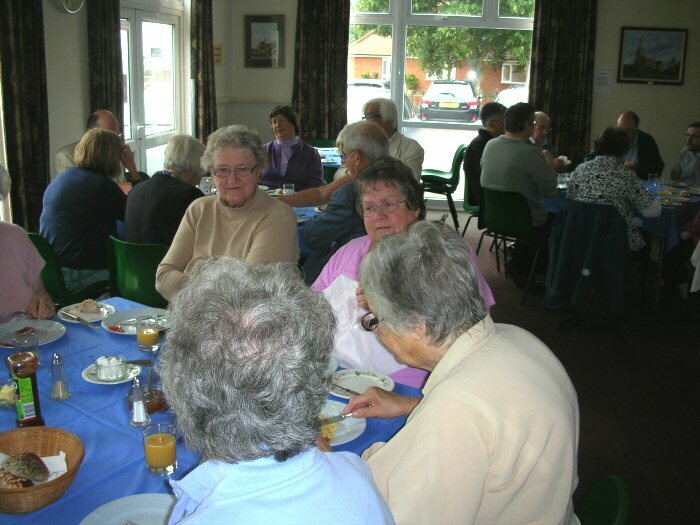 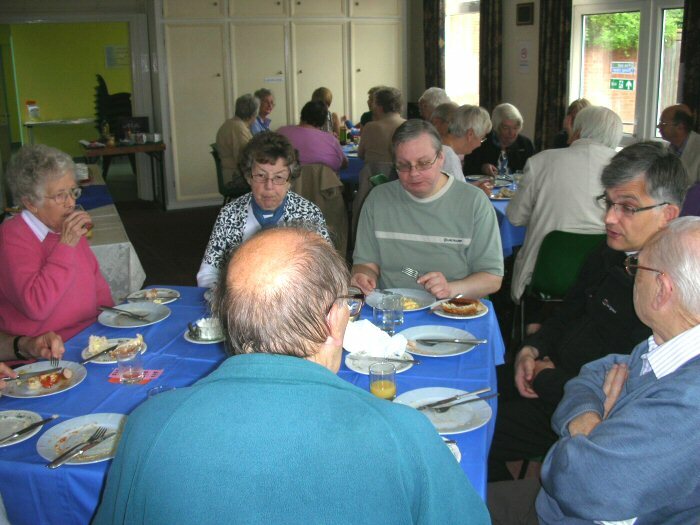 Coming together for a meal and a natter always goes down well with St Matthew’s folk, and it’s even more enjoyable to know we’re raising money at the same time. 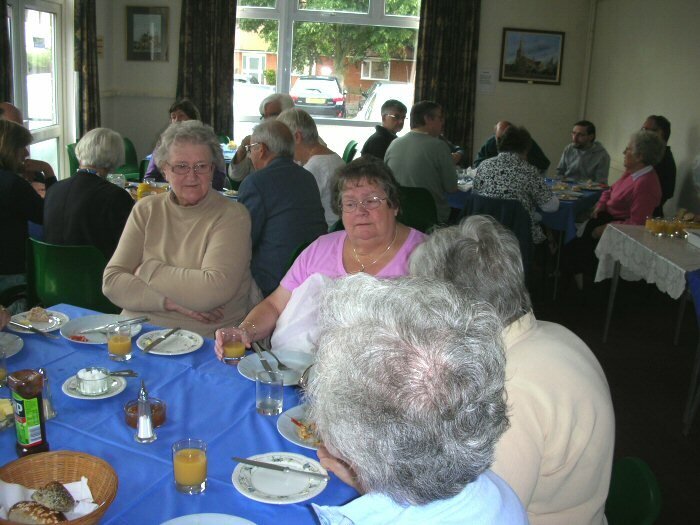 Such was the format for our latest Charity Breakfast, to raise money for our two supported charities for 2012, ‘Let The Children Live!’ and ‘Live at Home – Northampton’. 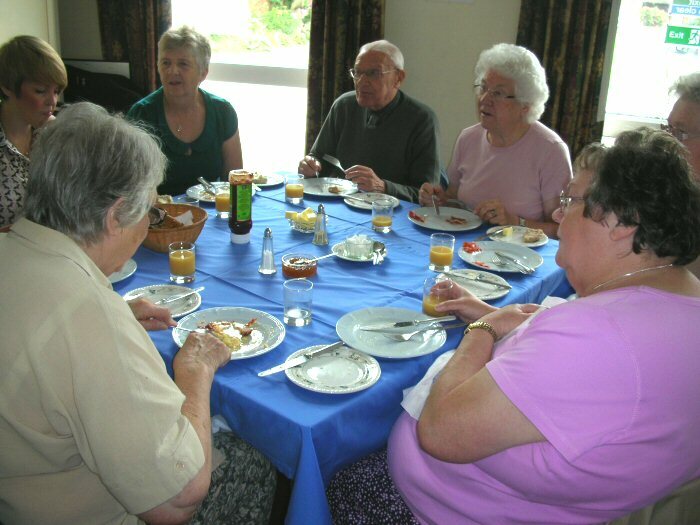 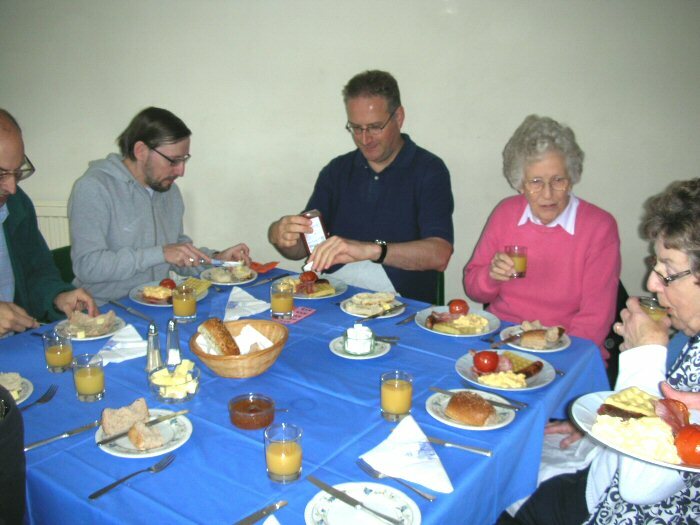 We were treated to a sumptuous breakfast (or maybe early lunch) of orange juice, sausage, bacon, tomato, scrambled egg and waffle, followed by roll with butter and marmalade, and coffee or tea. 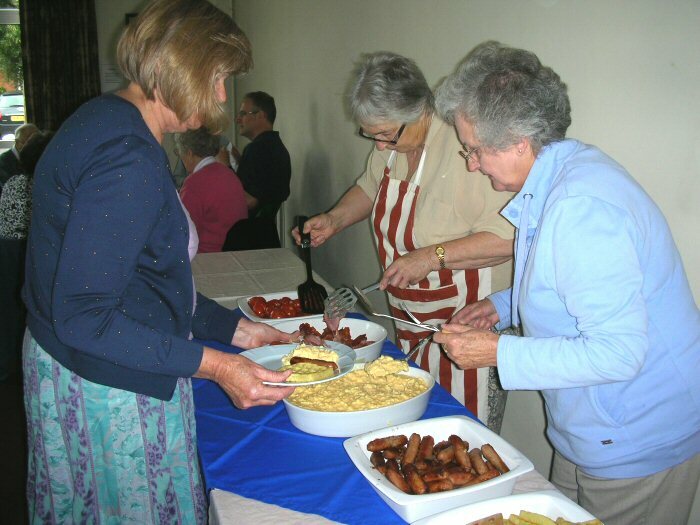 Being a church event there was also the compulsory raffle, with plenty of prizes to be won.